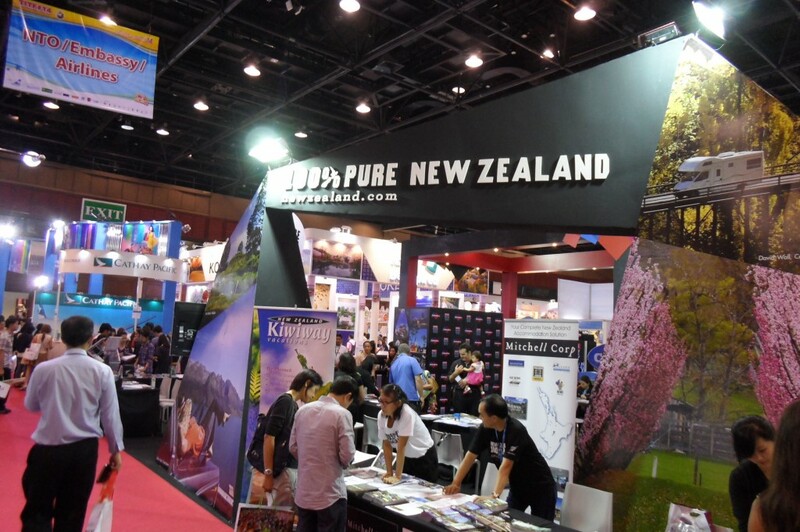 BANGKOK- A strong 64-company Japanese presence at this year’s Thailand International Travel Fair has provided ample proof that ease of access is the primary driver of travel & tourism. 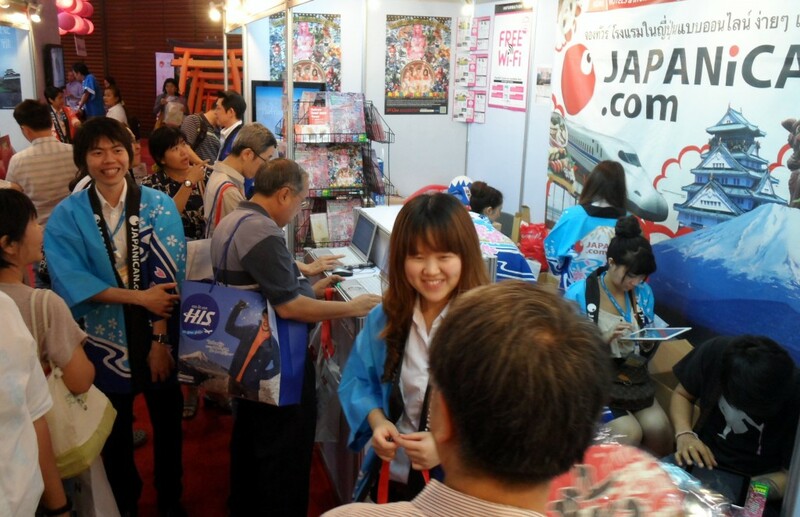 Japan waived visa requirements for Thai visitors last year, triggering a 74% surge in Thai arrivals to 450,000 in 2013, according to Kazuhiro Ito, Executive Director of the Japan National Tourism Organisation office in Bangkok. The target for this year is 600,000, depending on how long the political unrest in Thailand drags on. 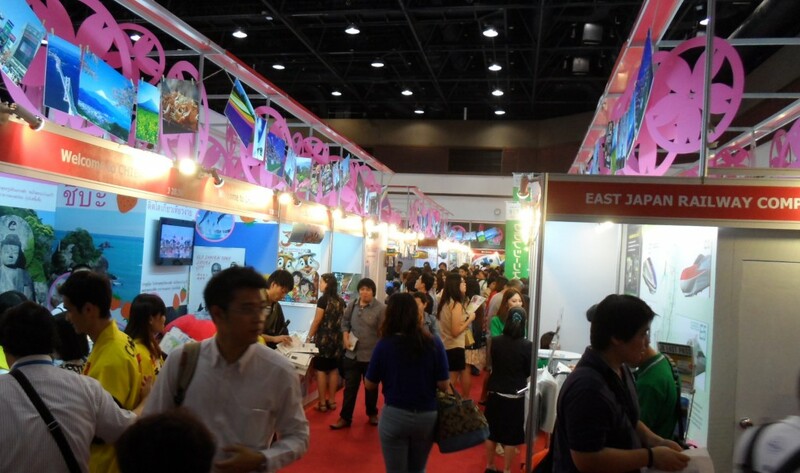 Rushing to tap the rapidly emerging outbound Thai market, Japanese companies have dominated this year’s TITF, comprising 18% of the 344 companies represented at the event. 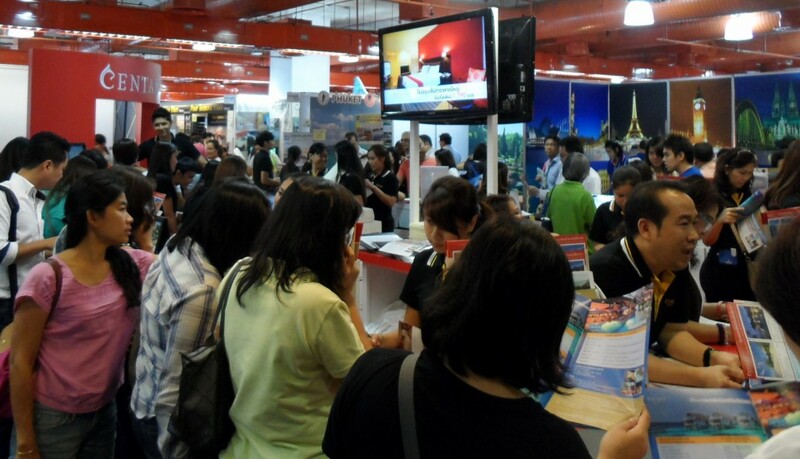 Organised by the Thai Travel Agents Association, the primary grouping of outbound and domestic travel agents and tour operators, the TITF is held every February to generate business for the school holiday travel boom in April-May. 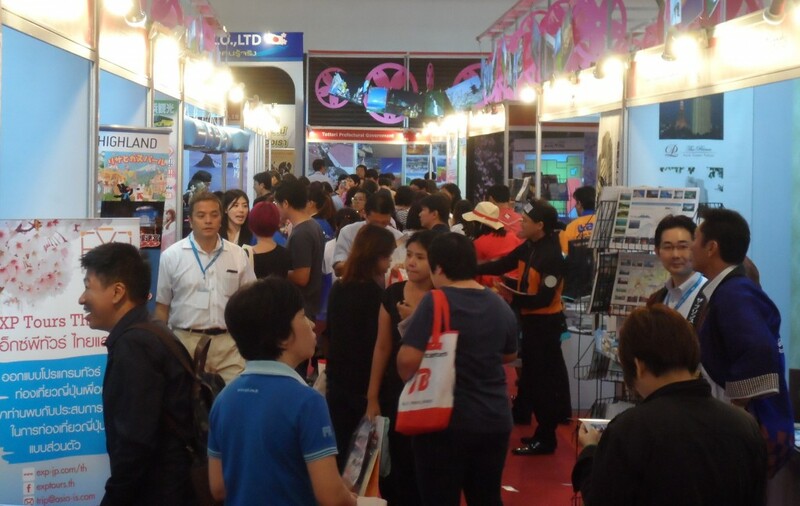 Within hours of opening on Feb 20 morning, hundreds of people had flocked to the show, a clear sign of the city’s determination to get on with business as usual, notwithstanding the presence of anti-government protestors at one of the city’s major intersections barely a kilometre away from the Queen Sirikit National Convention Centre, the TITF venue. 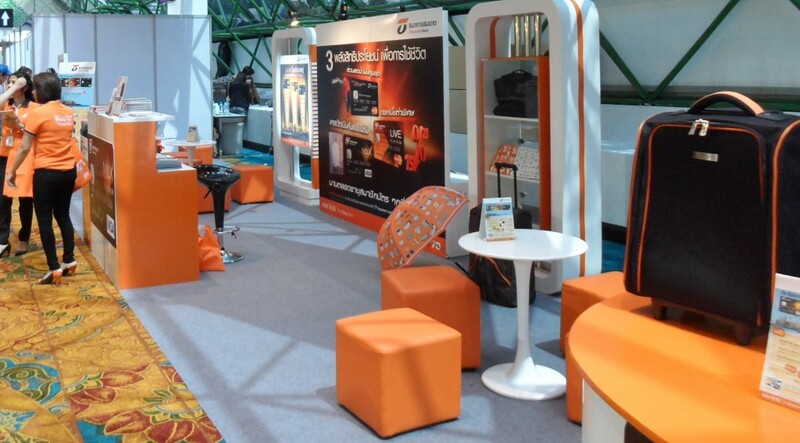 Feb 20 and 21 are trade days, and Feb 22-23 consumer days. 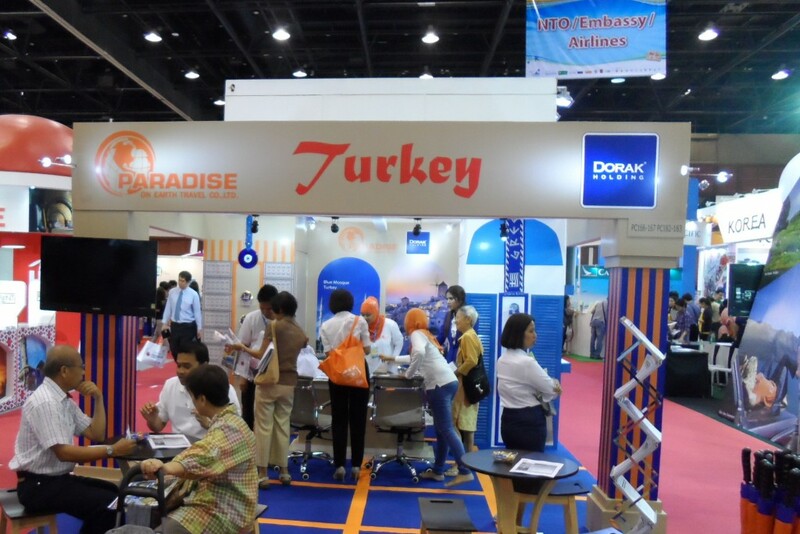 The show is now at its peak, and capacity at the QSNCC is at bursting point. Japan once had among the most onerous and problematic visa-application process for Thai citizens, fearing an influx of Thai ladies of the night, drug smugglers and an assortment of other undesirable characters. 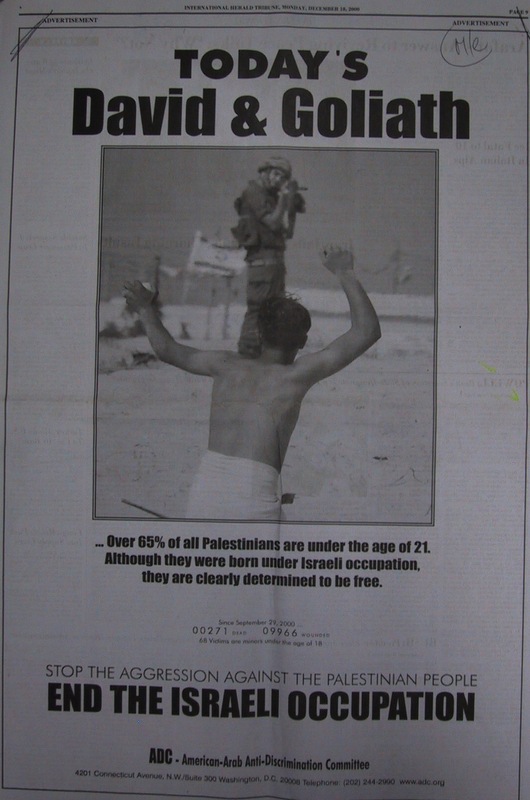 Today, however, times have changed. 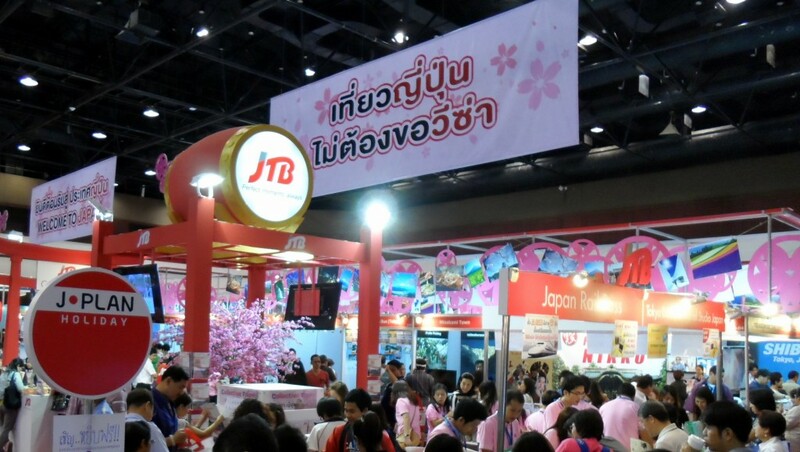 Economic crises in Japan have created a more balanced power-structure, and Thais can avail of 15-day visas to Japan, reciprocating the same privilege that Japanese have long enjoyed when visiting Thailand. 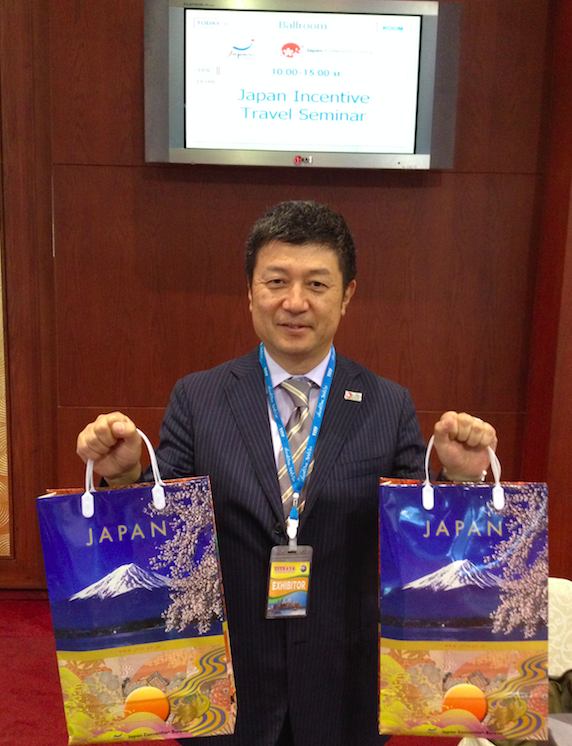 Mr Ito said the Japanese presence at the TITF was up from 45 companies last year. 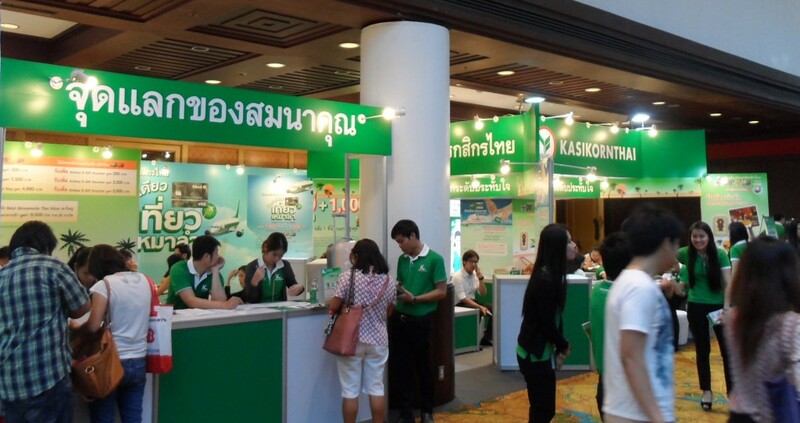 He said the weak yen is another factor driving business from Thailand, but voiced concern about the ongoing political unrest which he said is beginning to impact on bookings and will have a downstream impact on aviation links. 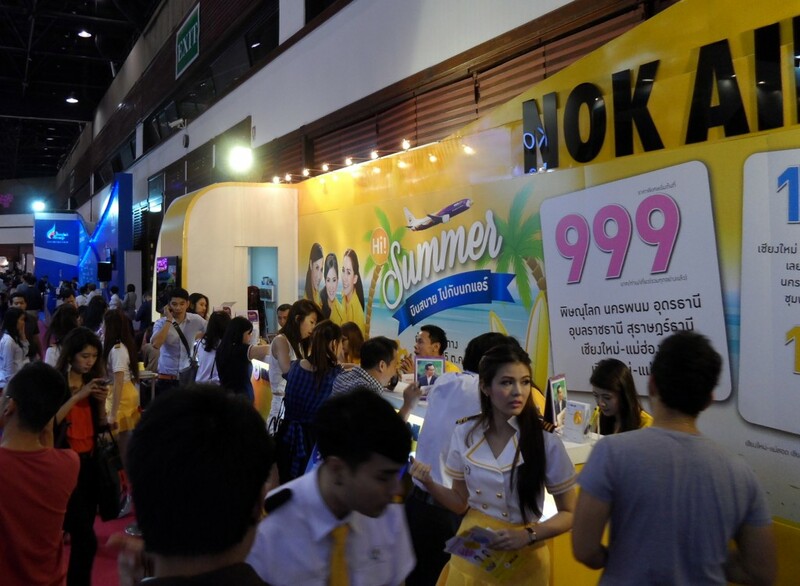 He has been informed that Thai Airways International will be dropping Bangkok-Sendai flights as of April. 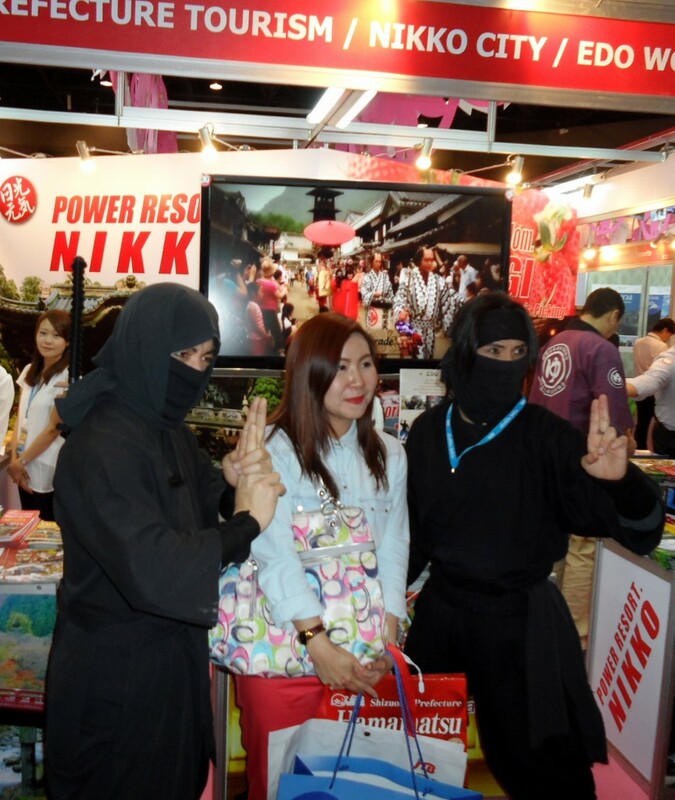 He said Japan has a string of new marketing plans ready for Thailand this year. 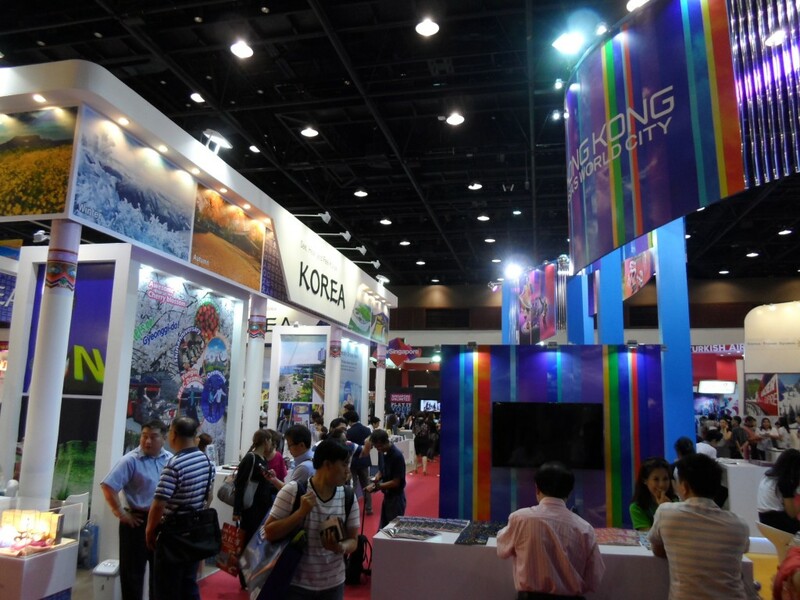 He said the focus would be on tapping the outbound market potential from Chiang Mai and other emerging cities in the North, Northeast and Southern parts of the country. At the Japanese end, the marketing effort will be to move business away from the traditional destinations of Tokyo, Osaka and Kyoto to Japan’s 47 other provinces. 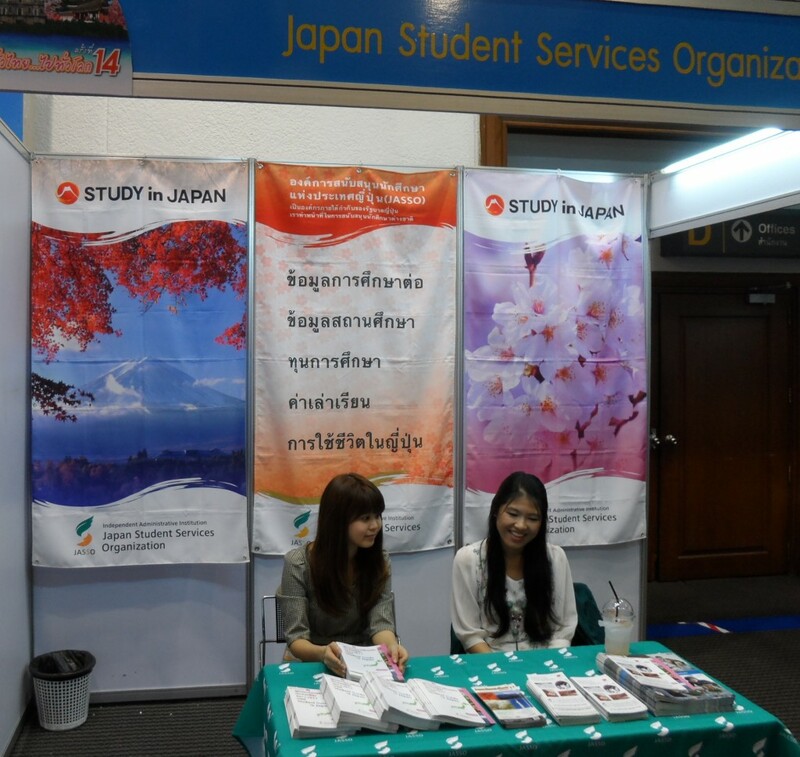 At the moment, there are direct flights from seven cities in Japan to Thailand. The average length of stay is about five days. Incentives have been a focus on Japan’s presence at TITF for several years because of their higher average expenditure per person per day. 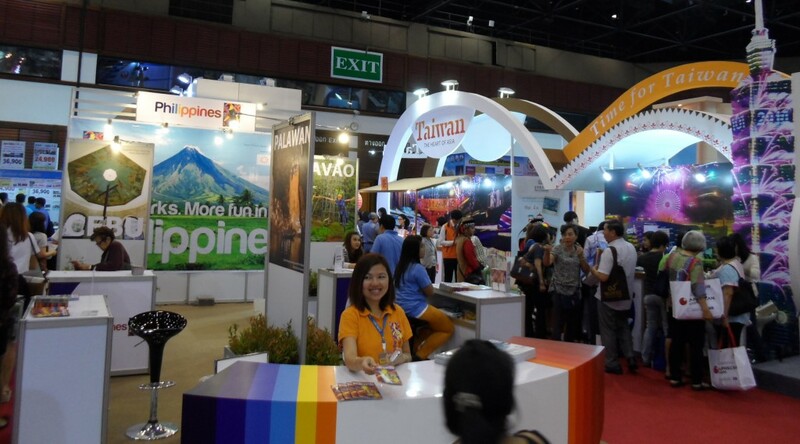 Mr Ito said Thailand was the third country in ASEAN to gain visa-free access after Singapore and Malaysia. He said only two Japanese companies had cancelled their presence at the TITF directly as a result of the anti-government protests. 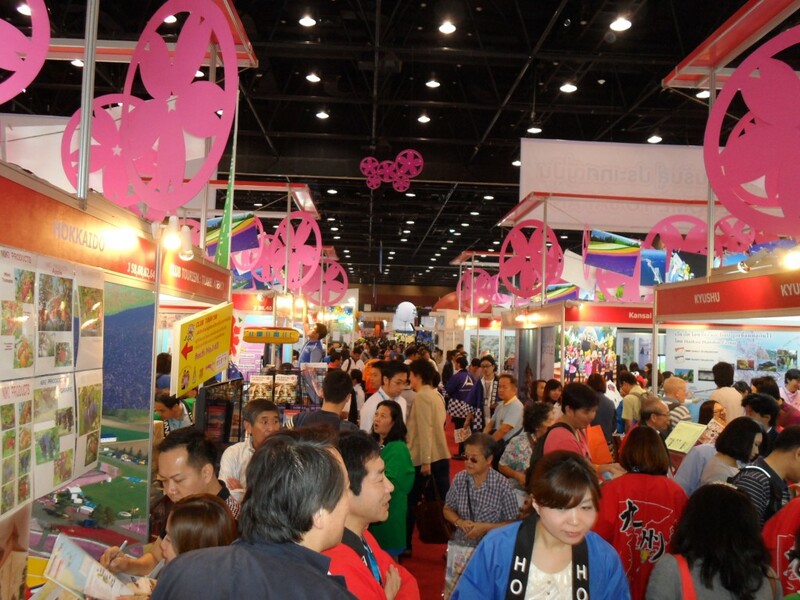 Veteran travel agent Surachart Boonviriyalai, Managing Director of Oscar Holiday Tour and Exhibition, said Japan was dominating Thai outbound, well ahead of Europe and Australia which have been affected by stronger currencies against the Thai baht. At the other end of the Queen Sirikit Convention Centre, people are queuing up to get new passports or get them renewed. Work at the Foreign Ministry’s consular services division has been hit by the protests, and off-site units have been opened in town to process the applications. 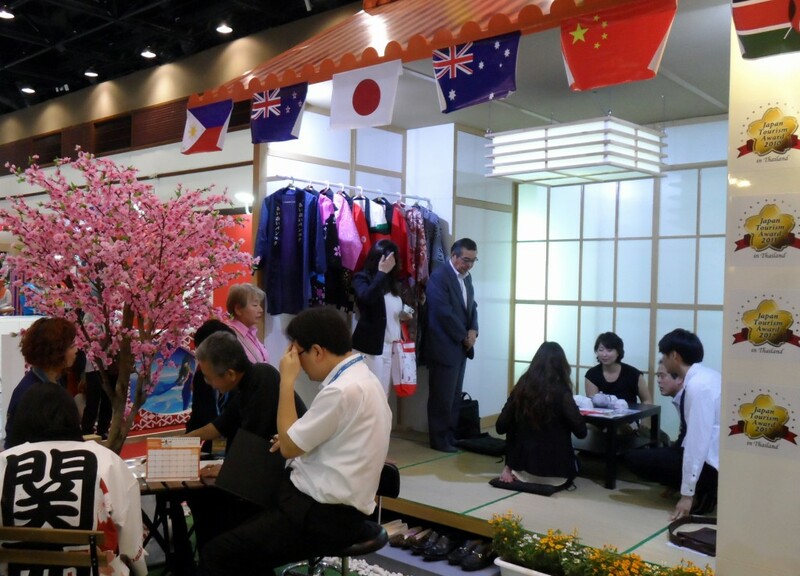 As this picture, and those below show, the aisles of the Japanese pavilion were thronged with trade visitors. 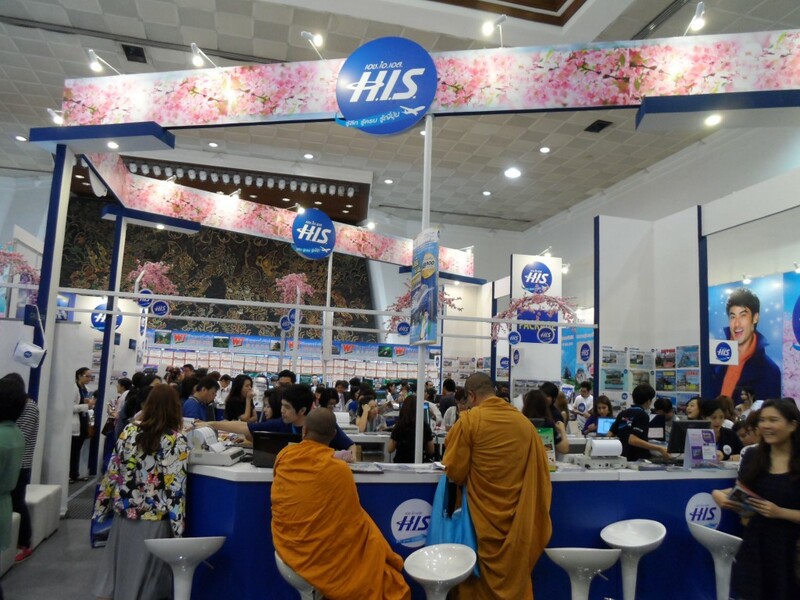 Sri Lanka is also seeing good outbound business from Thailand, primarily Buddhist tours but also a lot of transit stopovers, thanks to low-fares for connections via Colombo. 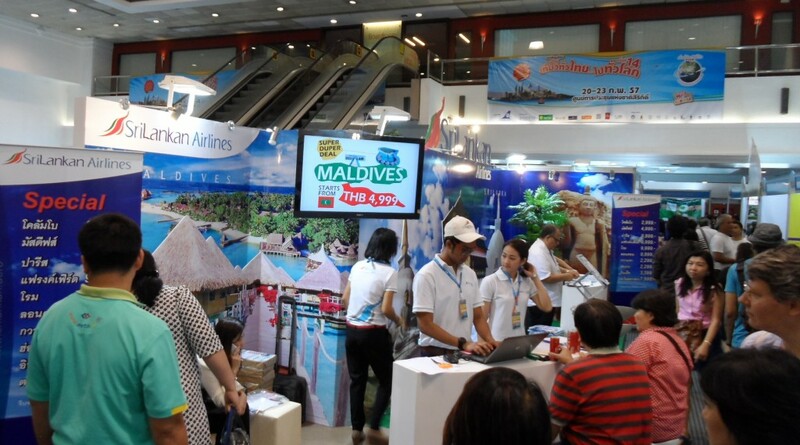 Some of the low-fares being advertised can be seen in the picture. Low-cost airlines are always popular at the TITF, with people queuing up to get their deals right from the opening bell. Bhutan has a strong presence thanks to the two countries making the 25th anniversary of diplomatic relations. To commemorate this event, a “Bhutan-Thailand Friendship Offer” is being introduced for Thais and foreign residents of Thailand, covering the period of 1 June – 31 August. 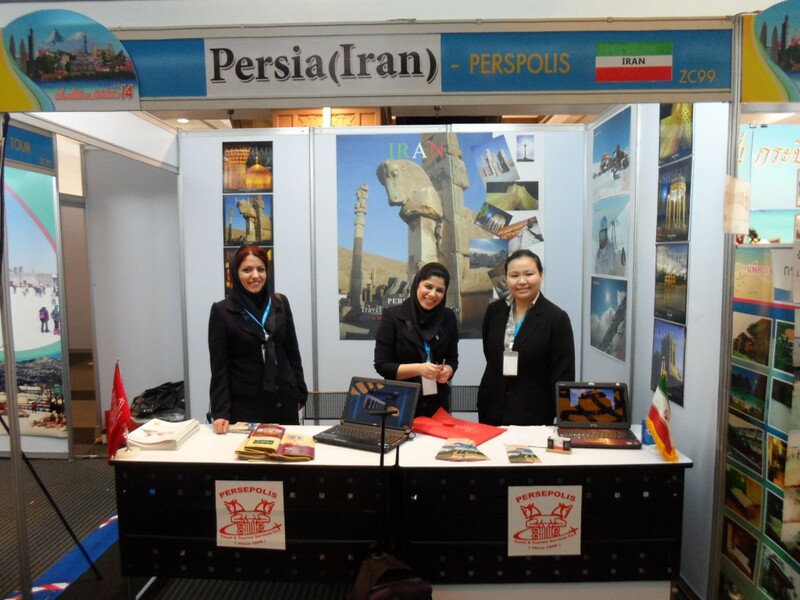 The package includes extensive discounts on air-fares and hotels and a waiver of the mandatory minimum daily package rate. However, the daily royalty of US$65 per person per night will remain in place. 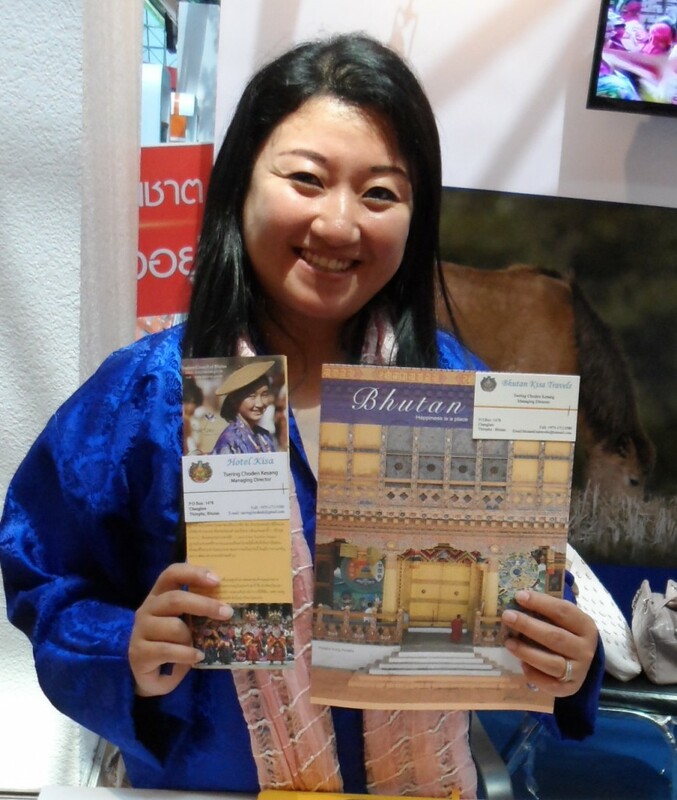 Tsering Choden Kesang, Managing Director of Bhutan Kisa Travels and Hotel Kisa, displaying her brochures at the TITF. 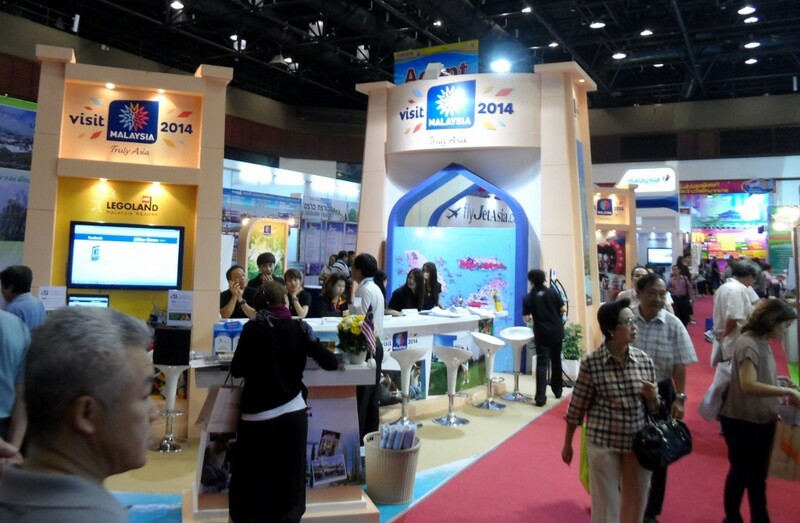 Banks and insurance companies have also got plenty of travel deals based on usage of their credit-cards. Political unrest? 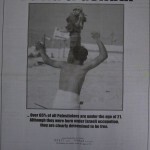 What political unrest? 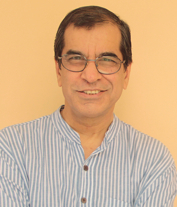 The lure of the deal is far too great to be suppressed by any temporary political unrest. 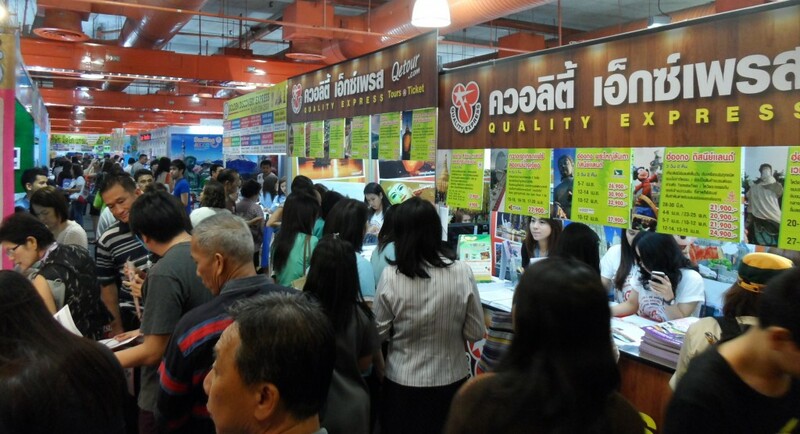 Let’s Go To Eat claims to be Thailand’s first outbound tour company specialising in culinary tours. 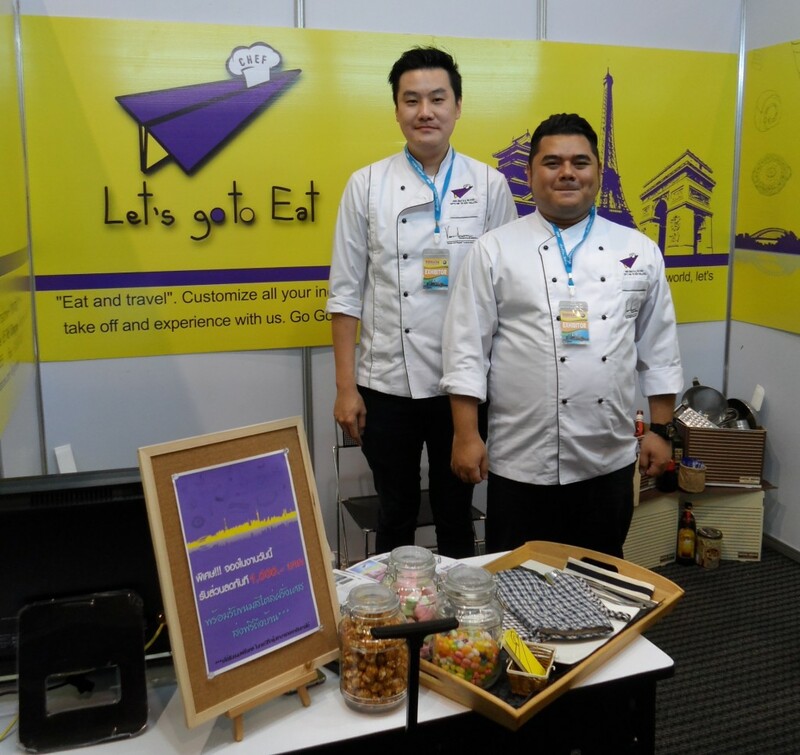 Mr Dhanakorn (Boy) Julnum, the owner, (right) launched the company last year with 8-day tours to France and has expanded this year to include five-day culinary tours of Japan, taking advantage of the visa-free access to Japan. Performers of Malaysia Truly Asia.